The 2017 Toyota Avalon is a premium full-size Toyota sedan that's now in its fourth-generation after being in the market now since as long ago as 1994. This current generation benefitted from a facelift in 2015 for the 2016 model year, which saw a new front grille and turn signals introduced along with some revised alloy wheel designs. If you want a comfortable, luxurious full-size sedan without a swanky prestige badge drawing what could be unwanted attention, this fuel-efficient premium sedan from Toyota could well be the answer. If you haven't paid much attention to the Avalon recently you really have been missing out. If you imagine it to be in any way mundane and uninspiring because it's a large sedan then think again. The Avalon now has a look about its exterior styling that's refreshing and contemporary, and it's now a long way from being able to be regarded as something of an overgrown Camry. The roofline sits very nicely over the more subtle arc in the Avalon's beltline, and there's a rear pillar arc that fits right in and tapers gradually towards the rear. The new taillights added last year elevate the look of the rear towards models from Toyota's luxury arm, and real punch is delivered by the rear fender, and the way the car's sheet metal flows from the roofline and the doors in a truly graceful manner. We currently have five trim levels of 2017 Toyota Avalon to select from, and that's not including the hybrid variants that are also available. The lineup kicks off with the XLE, and from there it goes onwards and upwards to the XLE Plus, XLE Premium, Touring and finally the exceptional top-of-the-line Limited trim. Standard features include: cruise control, climate control, leather seats, power heated front seats, a rearview camera, tire-pressure monitoring and 17-inch alloy wheels. The XLE Plus also gets a universal garage-door opener and a moonroof, but it's the Limited trim that really has to be experienced to truly understand what makes the Avalon so exceptional in its class. The Avalon Limited includes: heated-and-ventilated front seats, perforated leather front seats, heated rear seats, tri-zone automatic climate control, HID headlamps, a rear sunshade and LED daytime running lights. 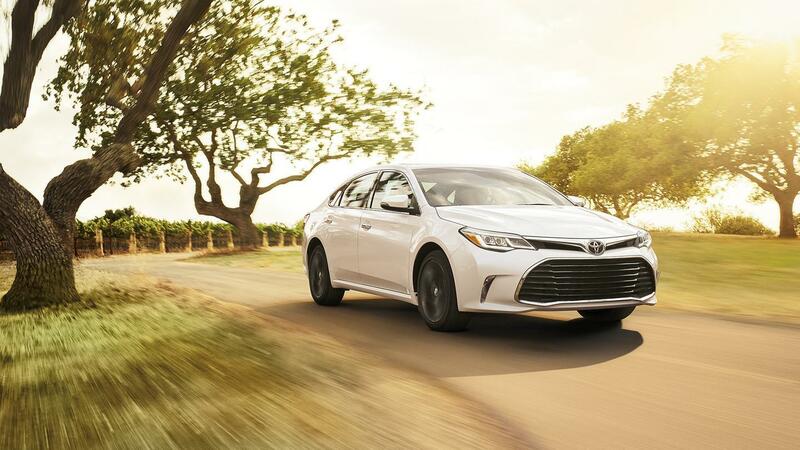 The Limited really is a rival for similar size models from Toyota's luxury brand, except the Avalon comes in at a good few thousand dollars less than its equivalent model from the Japanese automaker's luxury arm. If we once again put the hybrids to one side, there's just a single engine across all five trim levels of the regular Avalon lineup. It's a pretty capable unit though, as it's the familiar Toyota 3.5-liter V-6 that develops an impressive 268 horsepower and 248 lb.-ft. of torque, which is then sent to the front wheels through a standard six-speed automatic transmission. However, that transmission boasts a sport-shift mode and has throttle blipping for smoother downshifts, and it also features paddle-shift controls along with Eco, Normal, and Sport driving modes to adjust steering, throttle, and shift feel to suit the circumstances. 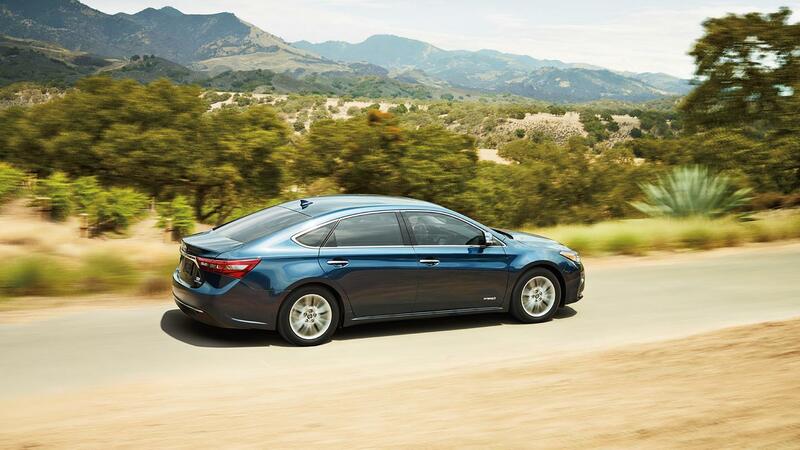 Fuel-efficiency probably isn't the primary consideration for full-size sedan shoppers, but it's nice to know the Avalon is economical to run, all the same. The 2017 Toyota Avalon gets EPA-estimated ratings of 21 mpg in the city, 31 mpg on the highway and 24 mpg combined, which is better than some rivals with smaller displacement engines.